Growing up in a family that embraced the philosophy of helping others and a love of science inspired Dr. See to become a doctor. But it was the special patient-doctor relationship that encouraged him to specialize in oncology and hematology. As a hematologist/oncologist, he believes in empathizing with his patients and being an advocate of strength and hope to them. He also listens and cultivates lasting relationships with his patients and their families. Dr. See earned his bachelor’s degree from Xavier University in Cincinnati. He earned his medical degree, completed his residency training in Internal Medicine and fellowship training in at Wright State University Boonshoft School of Medicine in Dayton. He is board certified in internal medicine and medical oncology, and is a member of the American Board of Internal Medicine and a member of the American College of Physicians and American Society of Clinical Oncology. J.R.H.See, N.C. Adragna and P.K. Lauf: Effect of G-forces on ouabain-resistant K loss of high and low K sheep erythrocytes. Biophysical J., 76:A234, 1999, Presented at Biophysical Society in Baltimore, Maryland March 1999. J.R.H.See, N.C. Adragna and P.K. Lauf,: Osmotic resistance of low and high potassium sheep red blood cells: Comparison with the ‘rol’ gene model. Blood, 88:54a, 1996. Presented at American Society of Hematology 38th Annual Meeting and Exposition in Orlando Florida, December 1996 and Red Cell club Meeting in Dayton, Ohio 1996. J.R.H.See M.D., T. Sabagh M.D., C.J.Barde. Thrombotic thrombocytopenic purpura: A case presenting with acute ischemic colitis. Case Rep Hematol. 2013; Epub 2013 may 7. 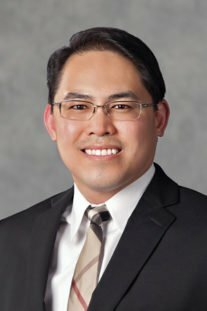 As a member of our OHC physician team, Dr. See has full access to the OHC Clinical Trial research program.